Chemical drain cleaners may seem like an easy solution for a clogged drain, but in most cases, they aren’t the best option. Our professional plumbers rarely use chemicals to clear drains, and don’t recommend them for our customers because they can cause damage to your plumbing system and put your safety in jeopardy when used improperly. Here are six good reasons to skip the chemicals, and either clear the clog with a manual technique or call in a pro to help. Without getting into the dirty details, your septic system relies on naturally occurring bacteria to break down waste. Chemical drain cleaners can kill these beneficial bacteria, disrupting the process and ultimately causing a failure of the system. Chemical drain cleaners generate heat to break down and remove clogs. This heat can soften PVC piping, and corrode older metal piping. The convenience factor of these products is a lot lower if you have to figure in the expense and inconvenience of replacing piping due to using them. When it comes to the most stubborn clogs, chemical drain cleaners don’t always work. When this happens, you would have to bail out and flush all of the cleaner from the pipe. Letting it sit increases the chance of a problem with the pipes, and flushing the cleaner down the toilet increases the chance of a problem with the septic system, creating a lose-lose-lose situation all around. Chemical drain cleaners are designed to eat through organic matter, and they don’t distinguish between a ball of hair in your drain and the sleeve of your shirt or the leg of your pants. At a minimum, you should wear protective gloves and glasses, and a covering over your clothes to prevent accidents – and if you usually go barefoot around the house, make an exception and wear sturdy shoes to protect your feet. I will spare you the images of people burned by chemical drain cleaners, but if you have a strong stomach you can always find them in a Google image search. Your skin and hair is organic material too, and drain cleaners can cause serious chemical burns. It doesn’t even take a big spill for this to happen – a drip down the side of the bottle, or acid splattering when it hits water can cause a reaction if they touch exposed skin. Any chemical drain cleaners should only be used in well-ventilated areas. 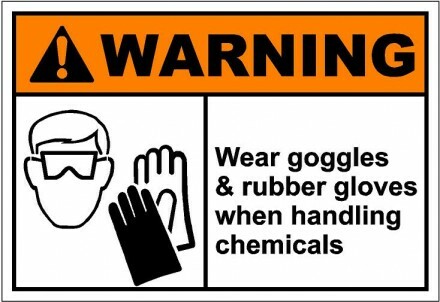 The fumes are toxic and can burn your eyes and mucous membranes. Some forms of acid used in cleaners can smoke when they are added to water, putting more toxic fumes into the air. Children and pets should never be nearby if you choose to use these products, both for the risk of burns and because their smaller bodies absorb toxic fumes faster than an adult’s, making them more likely to experience adverse effects. Bottom line: There are better ways to clear a clogged drain than adding harmful, toxic chemicals to your plumbing system. Check out this tutorial from about.com for tips on how to manually unclog a sink. If you aren’t able to clear the clog manually, our plumbing professionals will be happy to assist you – just give us a call, or request an appointment online! The recall notice from Flushmate indicates that there are 2.3 million affected units in the US, and an additional 9,400 in Canada. They were manufactured between 1997 and 2008. There have been 304 reports of products bursting, which causes the tank lid or the whole tank depending on the force of the burst to shatter and/or become projectiles. The hazardous portion of the Flushmate system is a water valve, which can also lead to massive water and property damage. The first step is to identify whether you have a recalled unit – the recall notice shows a sample sticker and serial number to help you identify any affected units in your home. Our plumbers called Sloan at 800-580-7141, to find out what happens next. You can call that same number (have your serial number ready) and receive a free repair kit. The instructions for installing the kit are found in the video on this page. 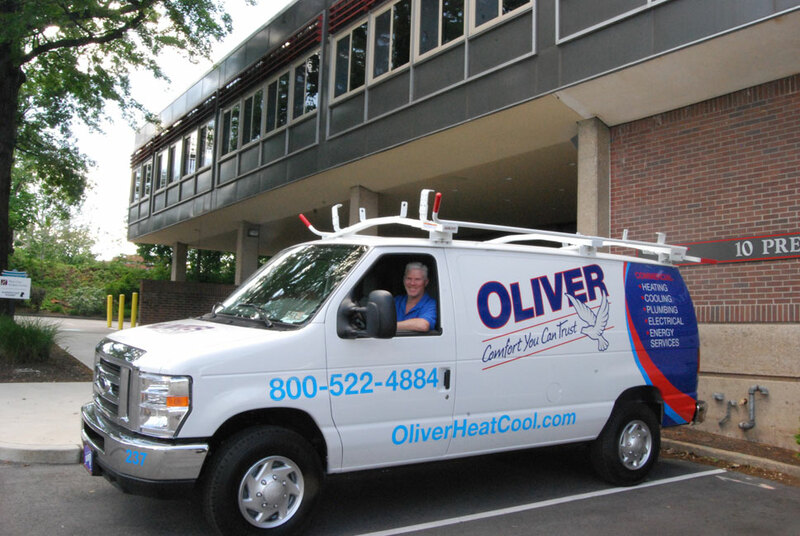 If any customers are uncomfortable making this repair on their own, Oliver will be happy to help, and you can call our plumbing department at 484-477-0461 to schedule an appointment. Sloan is not offering parts or labor coverage beyond the self-install repair kit, so customers should expect to receive a standard Oliver invoice for the repair, and will be asked to sign a waiver of liability for repairs done in relation to the recall.